Designing the Next: ZA-20 Colt. It's just a CAD rendering now, but Ryan Morse's airplane design has all of the right stuff to be a nextgen military aircraft. Read Morse's award-winning report (pdf). The American Institute of Aeronautics and Astronautics (AIAA) has chosen “ZA-20 Colt” - an aircraft design created by Ryan Morse - for the top honor in the 2017/2018 Individual Aircraft Design Competition. An ROTC student who graduated from the Daniel Guggenheim School of Aerospace Engineering in May, Morse bested a field of 23 entries from six universities to claim the top spot, which comes with a $1,000 stipend and an invitation to present his work at AIAA's Sci Tech Forum in January of 2019. The competition tasked students to design a replacement for the aging A-10, a military aircraft that suffers from fatigue, corrosion, and a lack of compatible, low-cost, spare parts. 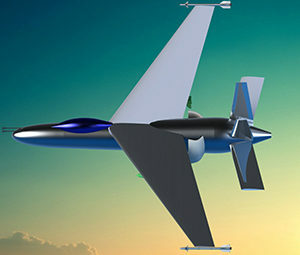 The specs for the competition stipulated that the designs should be affordable, survivable, and able to complete all required technical development by the end of 2020. "The A-10 was developed in the 70s, so basically, they are looking for a simple, cost-effective aircraft that takes advantage of the technological changes in aircraft design from the last 40 years," said Morse, an Atlanta native. "My design went with a high-bypass turbo fan engine - something you typically see on a commercial passenger jet but not in the military because there's a greater need for speed, thrust and overall performance. My design places less emphasis on speed and more on how long you can be over a target. My design uses less fuel so you can spend more time in the air." In designing his model, Morse took special care to avoid what he calls "mission creep" - the tendency to add unnecessary technology to a design simply because it's impressive. "That's what's made the F-22 so expensive," he observed. "They kept adding to it." To provide observation, detection, and targeting imagery and of enemy forces and facilities for strikes by other supporting aircraft. 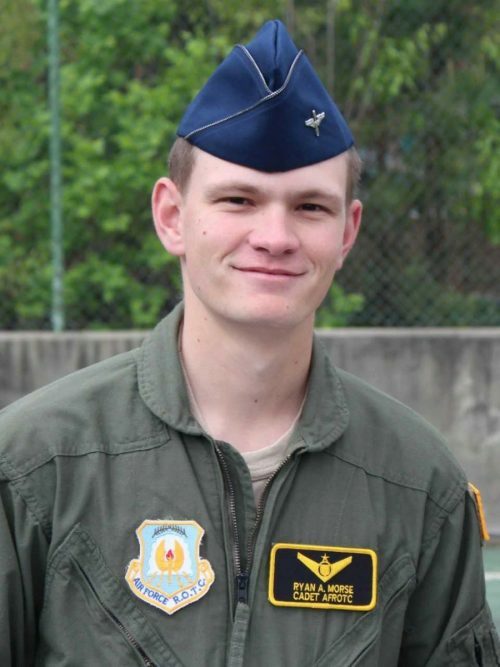 His attention to those objective will serve him well during the next chapter of his career: as a second lieutenant stationed at Vance Air Force Base in Oklahoma. Morse will begin that active duty assignment in January. 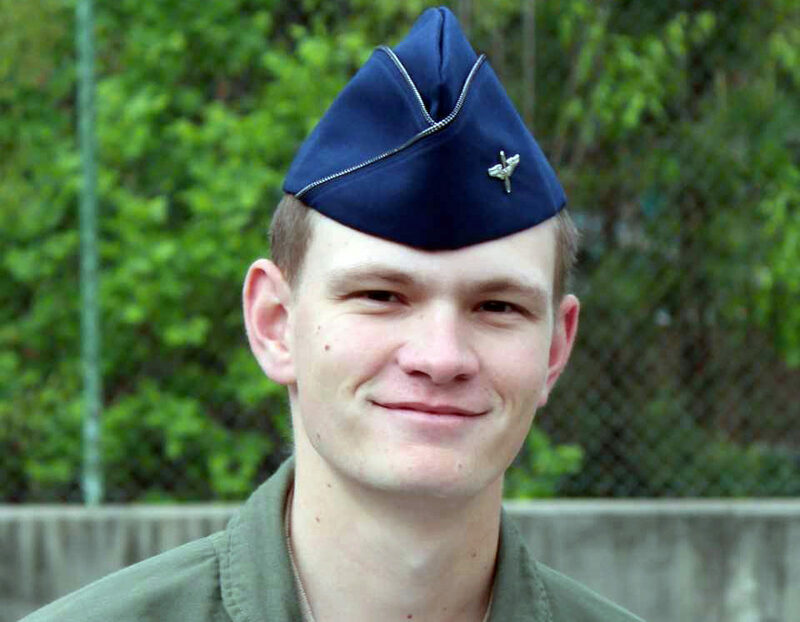 He will also begin his studies in the Air Force Pilot Training school. "Ultimately, I want to make the Air Force my career, so this is just the beginning," he said. "After pilot training, I eventually want to go to Test Pilot Training School, where my background in engineering will really put me on the cutting edge of aircraft design. You still have to fly, but you also have to advise engineers about what's working, and what's not. It's right in the middle of theoretical and practical engineering."